Microsoft has released new version of its Skype app for Windows 8 devices. The new Skype 1.6 for Windows 8 arrives with new contact blocking feature and multiple bug fixes. 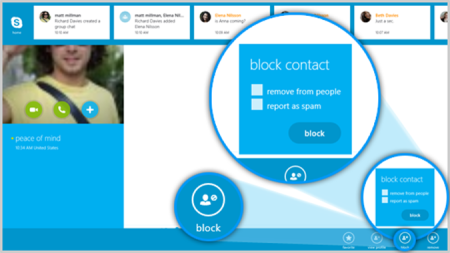 Contact blocking feature allows users to block any person from their Skype contact by simply right click and select block option on any specific contact name. And the new version contains various performance improvements specially when contacts loading and also many bug fixed.